Allow you to check the status of your electronically submitted claim giving you a simple understanding of the full detailed status of a particular claim. 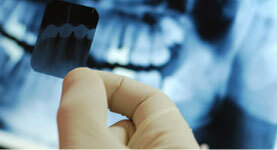 Easily research the status of all dental claims submitted through EDS. Using your computer and EDS Claim Tracking Service, you can get claim information quickly and know exactly where the claim is in the claim distribution cycle without calling the insurance company. Conveniently access multiple insurance companies from one place. No need to move from one website to another and another during the course of your day. Our service allows you to receive information any day, anytime, giving you the information you need to allow your office staff to concentrate on other important patient related processes. payment in as little as five days with the average time being less than two weeks. Electronic dental claims are processed up to 85% faster than paper claims, meaning that you get your money weeks faster than you do now.